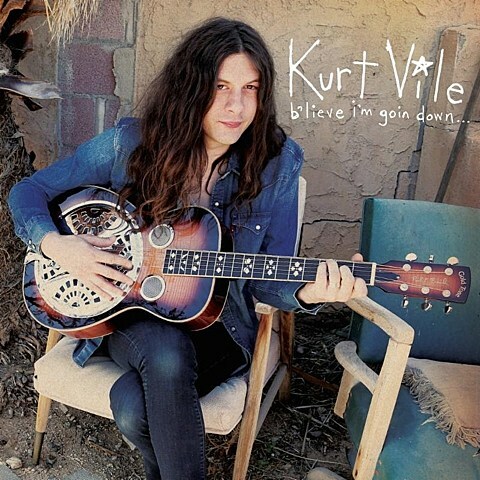 You already heard “Pretty Pimpin” and “Life Like This” off the new Kurt Vile album b’lieve i’m going down…, and now the whole thing is here to stream. I’m not sure the album ever quite reaches the heights of “Pretty Pimpin” (one of the best songs I’ve heard this year), but the whole thing is definitely another high quality LP from KV. A lot of it, like “Pretty Pimpin,” “Dust Bunnies,” “That’s Life, tho (almost hate to say)” and “Kidding Around” is the Kurt we know and love, packed with the kind of guitar heroics and turns of phrase that made his last few records so great. There’s new ground covered here too though. The banjo-heavy “I’m An Outlaw” is one of Kurt’s twangiest songs yet, and as “Life Like This,” “Lost My Head there” and “Bad Omens” prove, big clean pianos have a stronger role here than ever. The album comes out this Friday (9/25) via Matador, but it’s now streaming via KEXP, WXPN, WFUV and KCMP. Listen in full below. Kurt’s tour with Waxahatchee and Luke Roberts (a great bill all around) hits NYC on October 6 & 7 at Webster Hall. Night 1 tickets are on sale now but night 2 is sold out.